This information will be updated as appropriate through the nEXT Generation process. The Extension Master Gardener Program County Coordinator (CC) is responsible for volunteer training and management in the county. CCs are primarily responsible for recruiting and selecting volunteers, planning and facilitating volunteer training, and approving volunteer activities. Additionally, CCs make sure volunteers record their hours, meet all requirements for certification in the UW-Extension MG Program, keep records for end of year reports and participate in webinars and conferences for CCs. The County Coordinator position may be held by a UW-Extension Educator, UW-Extension staff, or a UW-Extension volunteer who has been appointed by the local county UW-Extension Office. Staff members and volunteers in the CC position should be in close communication with the local Extension Educator or the State MG Program Director in performing essential duties and responsibilities. Local MG committees addressing educational projects and activities report to the CC. Contact the State MG Program Director as soon as you are hired or appointed as a MG Program County Coordinator. [As soon as available: watch the County Coordinator Training module]. Be familiar with, and have ready access to, the MG website and be familiar with County policy as it relates to volunteer programming (you may wish to confer with your Youth Educator). 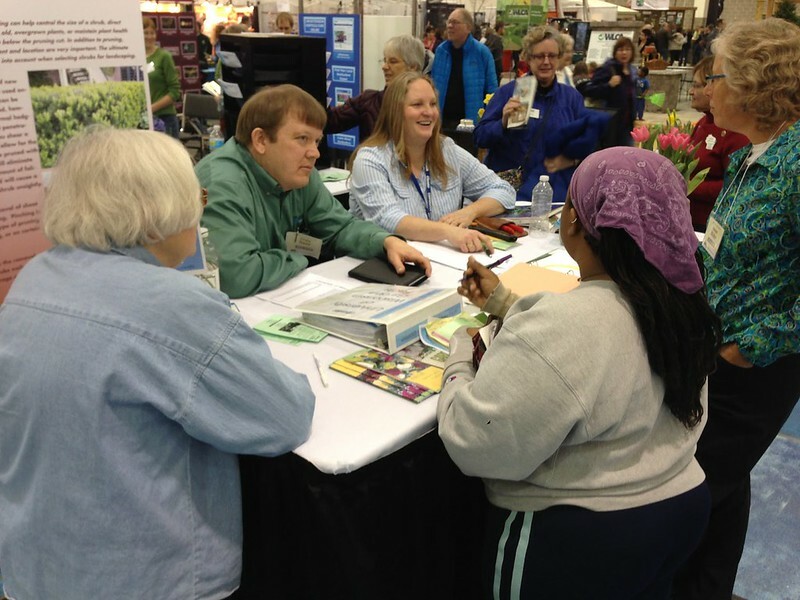 Attend meetings and webinars for UW-Extension Master Gardener Program County Coordinators and, if possible, attend any face to face meetings. Promote the MG volunteer program and recruit volunteers using the application materials on this website. Select volunteers (a selection committee is recommended). Turn in information to the State MG Program Office to complete the criminal background checks (CBC), then send letters of acceptance or regret after the CBCs are completed. Maintain volunteer files with application. Plan for orientation sessions for accepted or potential volunteers using the MG Orientation Webinar on the Level 1 Training website (coming soon). Work with State MG Program Office and UW-Extension staff to coordinate the MG online training and the face to face classes in the County. Facilitate on-going Continuing Education (CE) for MGVs (optional). Determine educational needs in local communities and plan educational programs, activities and projects with MGVs to meet those needs. Maintain up-to-date membership roster and communicate any changes in contact information of individual MGVs to the State Program Office. Collect and review volunteers’ hours to assure MGVs are doing appropriate activities. Turn in the county hour report to the State Program Office by specified date in October. Coordinate recognition of volunteers. Keep track of the number of years volunteers have been in program (certificates can be requested for 10, 15, 20 and 25 years of service from the State MG Program Office). Coordinate and manage (or delegate) the production of internal communication channels (newsletters, website, listserv, Facebook, etc,) for MGVs. Serve as a liaison between the County MG association (if applicable) and the county UW-Extension Master Gardener Program; collaborate with, and provide guidance to, the association’s efforts. Any volunteer disciplinary action is the responsibility of UW-Extension staff, not MGVs. The information was adapted from the WSU Master Gardener Program.